It will be a few years, but remember this name—you’re going to want to vote for him: Monte Scott. 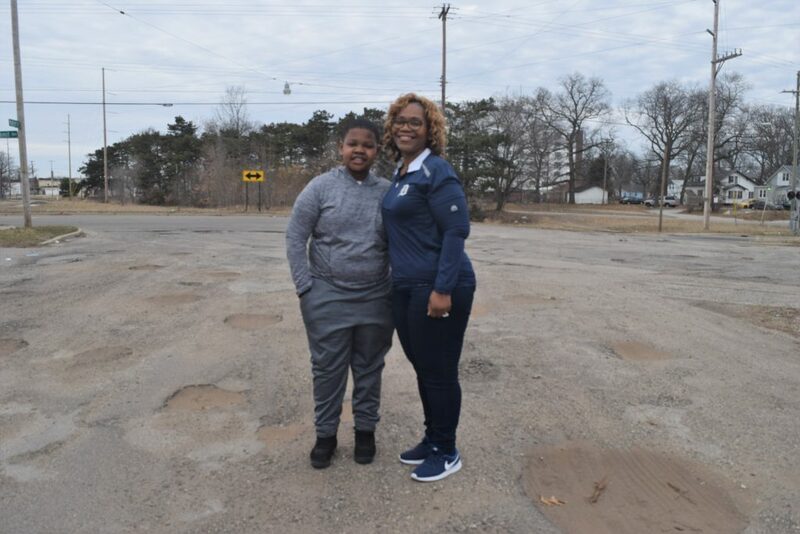 After he graduates from college, Monte, a 12-year-old from Muskegon Heights who attends Oakview Elementary School, hopes to run for mayor—and it’s not a stretch to think of the ballots that would come pouring in for him. After all, he’s already got quite a few fans—and that group is growing even larger after this week. Monte had a half-day of school on Wednesday, and it was then that the student decided he was going to fill the potholes that have long plagued his neighborhood. 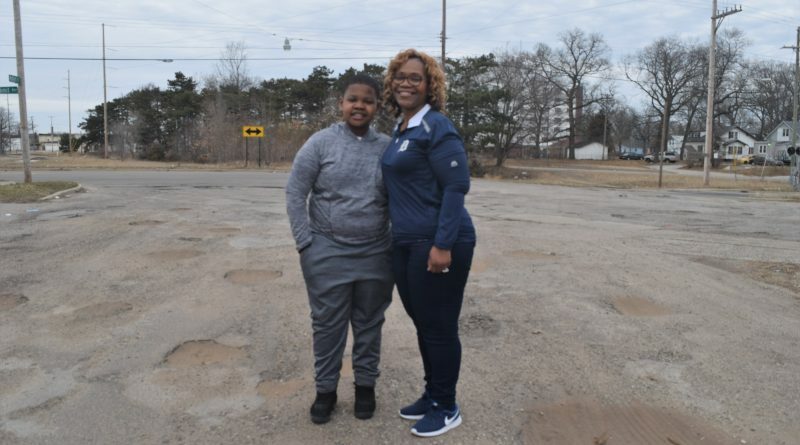 Many of the potholes Monte filled on Maffett Street in Muskegon Heights were “too deep, almost to my ankles,” he explained. 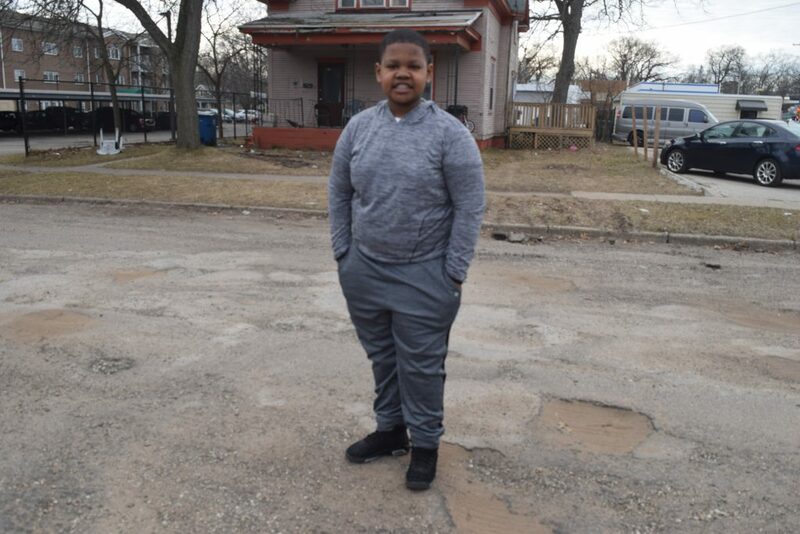 A Facebook video of Monte working on the potholes too has landed the student in the spotlight—it’s been shared nearly 1,000 times and has garnered comment after comment of people both praising the 12-year-old for his hard work and initiative and criticizing the city for the potholes that leave drivers to dart around the damage-inducing holes. Monte’s mother, Trinell Scott, recently had to get her car repaired because of damage caused by potholes. Monte’s grandmother, Patsy Payne, who has lived on Maffett Street for 21 years, said that while potholes have long been an issue throughout the area, they’ve gotten increasingly worse on Maffett over the past two and a half years. It’s this genuine desire to help—which Monte explained he does to “see the smiles on people’s faces”—that too inspires him to want to pursue a career in public service. He’s hoping to to play football or baseball professionally, but he also has his sights set on a life in politics. With his track record—which also includes volunteering to shovel people’s sidewalks and driveways and mow yards up and down his street—Monte seems to have one of the best head starts to a campaign. Everyone already knows, and loves, him. As time goes on, Monte hopes to see more people jumping to help, whether that’s bringing in someone’s groceries or tackling larger-scale societal issues. “I want people to help us stop people from killing each other; all of us should come together instead of slowly breaking apart,” he said. Mom you have raised a great young man! His efforts are a testament to the great upbringing he was given. We should all take a moment to praise mom not only son in this exemplary show of heart and concern for others ! 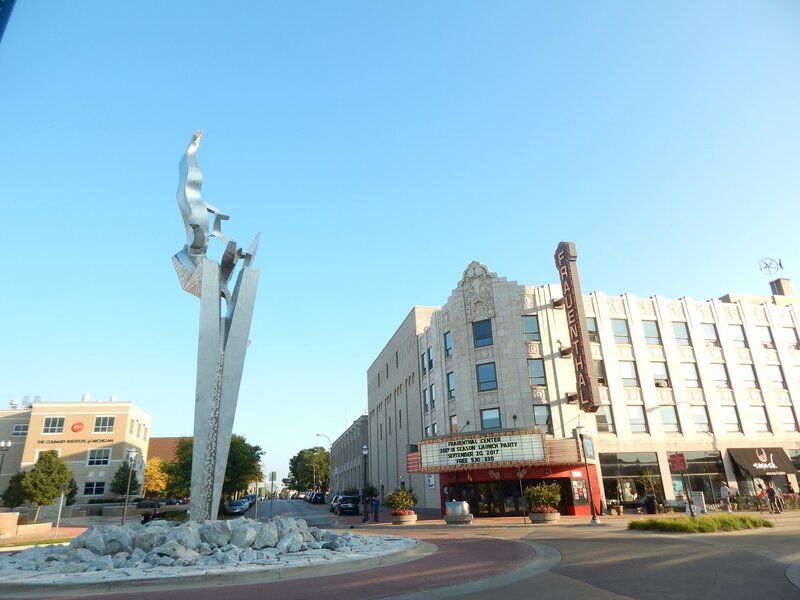 Muskegon needs more citizens and young adults such as your son! Great job for those involved in the mentoring of this fine young man, Monte Scott!